“As much F. Scott Fitzgerald as Dean Koontz” (#1 New York Times bestselling author Patricia Briggs), Christopher Buehlman excels in twisting the familiar into newfound dread in his genre-bending novels. Now the acclaimed author of Those across the River delivers his most disquieting tale yet. The secret is, vampires are real and I am one. The secret is, I’m stealing from you what is most truly yours and I’m not sorry… New York City in 1978 is a dirty, dangerous place to live—and die. Joey Peacock knows this as well as anybody—he has spent the last forty years as an adolescent vampire, perfecting the routine he now enjoys: womanizing in punk clubs and discotheques, feeding by night, and sleeping by day with others of his kind in the macabre labyrinth under the city’s sidewalks. The subways are his playground and his highway, shuttling him throughout Manhattan to bleed the unsuspecting in the Sheep Meadow of Central Park or in the backseats of Checker cabs, or even those in their own apartments who are too hypnotized by sitcoms to notice him opening their windows. It’s almost too easy. Until one night he sees them hunting on his beloved subway. The children with the merry eyes. Vampires, like him … or not like him. Whatever they are, whatever their appearance means, the undead in the tunnels of Manhattan are not as safe as they once were. And neither are the rest of us. 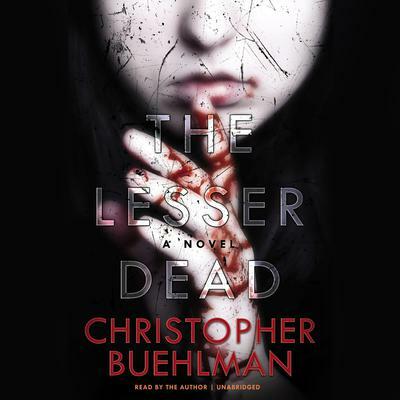 “As much F. Scott Fitzgerald as Dean Koontz” (#1 New York Times bestselling author Patricia Briggs), Christopher Buehlman excels in twisting the familiar into newfound dread in his genre-bending novels. Now the acclaimed author of Those across the River delivers his most disquieting tale yet. New York City in 1978 is a dirty, dangerous place to live—and die. Joey Peacock knows this as well as anybody—he has spent the last forty years as an adolescent vampire, perfecting the routine he now enjoys: womanizing in punk clubs and discotheques, feeding by night, and sleeping by day with others of his kind in the macabre labyrinth under the city’s sidewalks. Until one night he sees them hunting on his beloved subway. The children with the merry eyes. Vampires, like him … or not like him. Whatever they are, whatever their appearance means, the undead in the tunnels of Manhattan are not as safe as they once were.